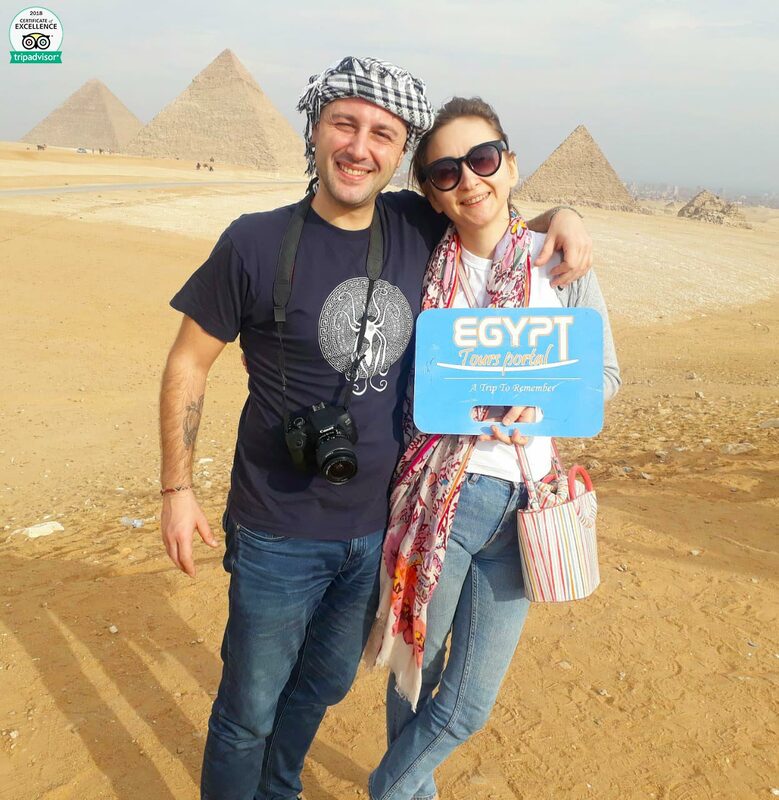 Get the chance to explore what Cairo the capital of Egypt has to offer with our stunning overnight trips to Cairo from El Gouna by plane accompanied by Egyptologist tour guide, visit the Pyramids of Giza, the Sphinx, Saqqara the step Pyramid, Memphis city, then head to visit Old Cairo landmarks such as Khan El Khalili bazaar, Coptic and Islamic attractions, and the Egyptian Museum, then back to your hotel in El Gouna. Internal flight tickets from Hurghada to Cairo and from Cairo to Hurghada. Private Egyptologist tour guide throughout your tours. The Great Pyramids belongs to “King Khufu” It is the oldest and largest of the three pyramids of Giza plateau and the only one to remain intact from the 7 Wonders of the Ancient World. The height of the great pyramid is 147m, the number of stones used in construction is 2,300,000 and it took twenty years to be built. It was built by “King Chephren“, it is the largest statue in the world, standing 73 m. long, 19 m. wide, and 20 m in height. It is the oldest known monumental sculpture. Then transfer to Cairo airport for flight back to Hurghada and transfer to your hotel to end your trips to Cairo from El Gouna by plane. 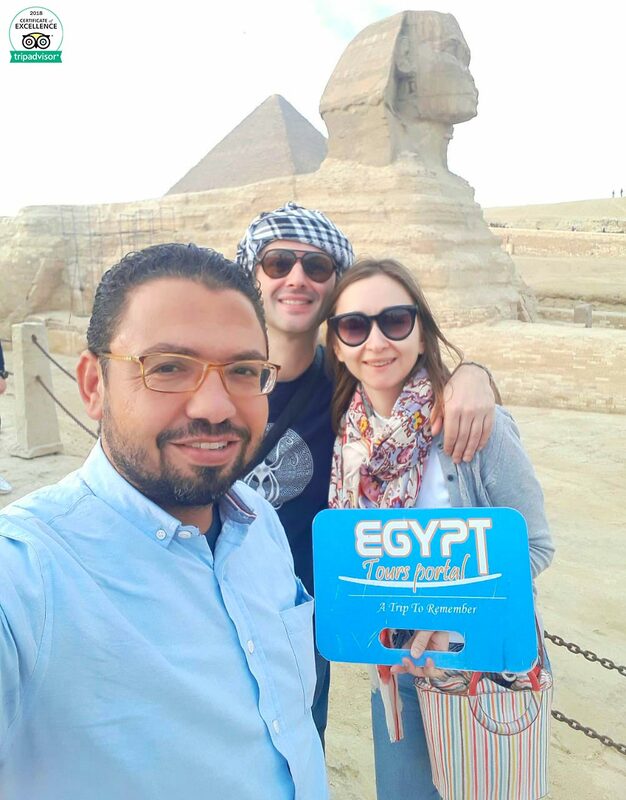 Ismael was our tour guide for our Cairo & Giza sight seeing trip. He’s very professional and always helpful in answering all our queries. He also has great knowledge about Ancient Egypt history that makes us appreciate even more all the sites (Pyramids and Sphinx) and artifacts that we saw at National Museum. We really had a wonderful time during our short visit in Cairo. Thank you Ismael for making our trip hassle-free and memorable. Will definitely recommend you to my friends who is also planning to visit Egypt. I hope your boss can read this review as you truly deserve a raise. Until we meet again! Inshallah.